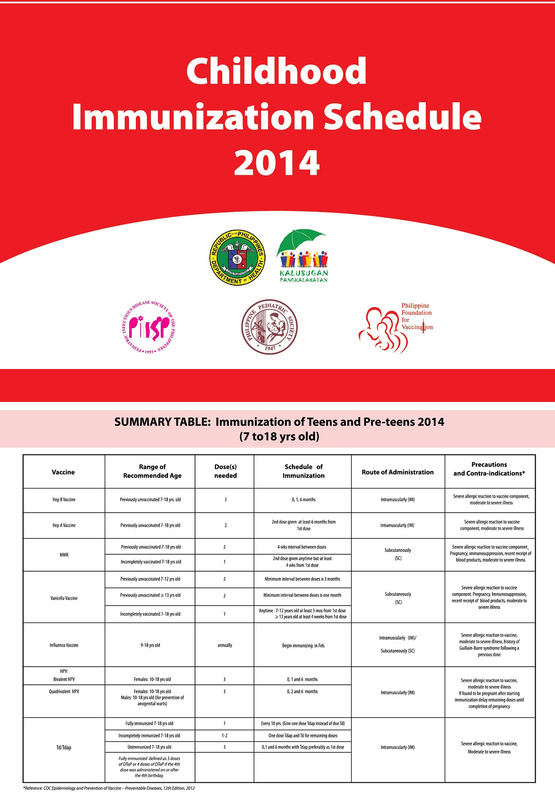 Moms and Dads, please take note of the following immunization schedule for our teens and pre-teens at home. It pays to know the type of vaccines and the age they are appropriately administered. My kids are both candidates to receive some of the vaccines and booster shots mentioned here. Please click on the image to get a clearer view of the summary table. This entry was posted in Advocacy, Health, Kids and tagged immunization schedule, immunization schedule 2014, immunization schedule for teens and pre-teens on March 6, 2014 by Yami.